On Thursday, October 6, Sarah Miles and Vinh Nguyen of QEMS proudly participated at the Make It in Union County Manufacturing Showcase. The showcase is a chance for local manufacturing facilities to talk about their companies and spark an interest in manufacturing among middle school and high school students. This program, partnered with the Union County Public Schools and the Union County Chamber of Commerce, promotes awareness of manufacturing within Union County and all the opportunities available right here in North Carolina. Other companies participating at the showcase include (but are not limited to) Charlotte Pipe and Foundry, Vanguard Pei Lung, Scott Safety, Greiner Bio-One, Assa Abloy, and many others. The following Friday, representatives from QEMS (Sarah Miles, Vinh Nguyen, Sarah Hoyle, Phillip Nguyen, Gary Nguyen) also attended the Celebration Breakfast for the event. Roger Collins, the host speaker for the breakfast, is the chair of the NC Apprenticeship Advisory Council for Siemens Energy, Inc.
On September 22, 2016, the Lean Six Sigma Green Belt Candidates for QEMS took their certification exam in the morning, enjoyed a delicious lunch at Rolling Hills Country Club, and returned in the afternoon to present their Green Belt Projects. Special guests included Mr. Phuong Nguyen (CEO and President of QEMS), Dr. Ron Fite (the Master Black Belt sponsor for all three projects), and Todd Morris from South Piedmont Community College. A great amount of research, time, effort, and initiative went into each of these projects. Coursework for the Green Belt class began in late June 2016, along with the completion of a test catapult project (see gallery for pictures). The hope going forward is to implement further Six Sigma projects on-site, use Six Sigma as the next level for Continuous Improvement, and to have our key team at QEMS embrace the Six Sigma methodology. In time, QEMS may consider pushing forward a few personnel for Black Belt certification. Certifications will be presented on-site in the next few weeks. 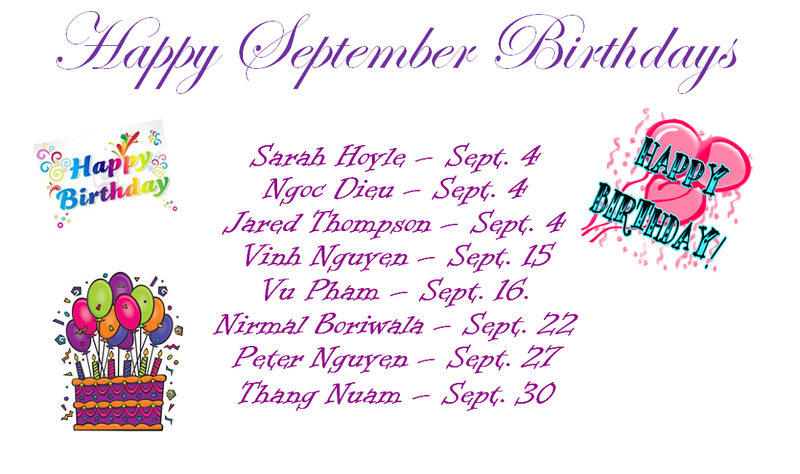 QEMS hosts a monthly birthday event to treat employees celebrating a birthday within the calendar month. In September, the event was hosted on site and catered by Hickory Tavern. Take a look at our gallery and see for yourself how much fun we have as a group! On December 6, 2012, the Monroe Enquirer Journal released a story regarding QEMS once again being named as a “world class” supplier by Scott Safety (a Tyco International Company specializing in life safety equipment) for the third consecutive year. Being identified as world class is a recognition only given to the top 1% of Scott Safety’s suppliers worldwide. QEMS was 1 in 8 of 600 suppliers to receive this award. “QEMS’s receipt of World Class Supplier for three consecutive years is truly unique and is a testament to their dedication to continuous improvement,” stated Valerie R. Raye: a senior buyer for Scott Safety’s Strategic Sourcing Department. 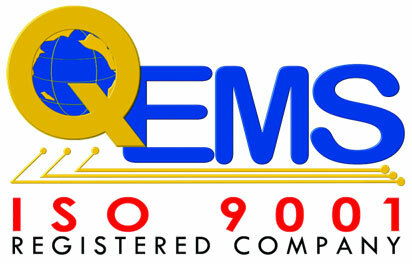 QEMS was founded in 2002 by its President and CEO: Mr. Phuong Nguyen. QEMS hosts a monthly birthday event to treat QEMS employees celebrating a birthday within the calendar month. In July, the birthday event was hosted at Rolling Hills Country Club in Monroe, NC. During the event, a game was played among the birthday personnel to see who could move the most marshmallows to another bowl using only their mouth to guide the spoon. The winner was Kien Truong from Engineering. Congratulations, Kien! Please enjoy the gallery for our birthday celebration and see for yourself how much fun we have with our company! QEMS hosts a monthly birthday event to treat employees celebrating a birthday within the calendar month. In June, the event was hosted on site and catered by Takara of Monroe. Take a look at our gallery and see for yourself how much fun we have as a group! QEMS hosts a monthly birthday event to treat QEMS employees celebrating a birthday within the calendar month. In May, the event was hosted on-site and catered by Creative Food Solutions. The Executive, Sales & Marketing, and Human Resources teams were excited to discuss upcoming events as well as some of the great achievements QEMS has made throughout the year thus far. Some of these achievements (such as the 2nd Consecutive Gold Safety Award from the NCDOL and our excitement for announcing our Lean Six Sigma Green Belt candidates) have been discussed on the website already. Others (such as our announcement for the 15 Year Anniversary/Christmas Party in December) were news for the group. Keep up the good work, everyone! Keep us clean, keep us neat, keep us happy, and keep us moving steadily forward as a top quality company!